Want to have white beautiful teeth that others admire? Are you increasingly aware of the importance of dental health? 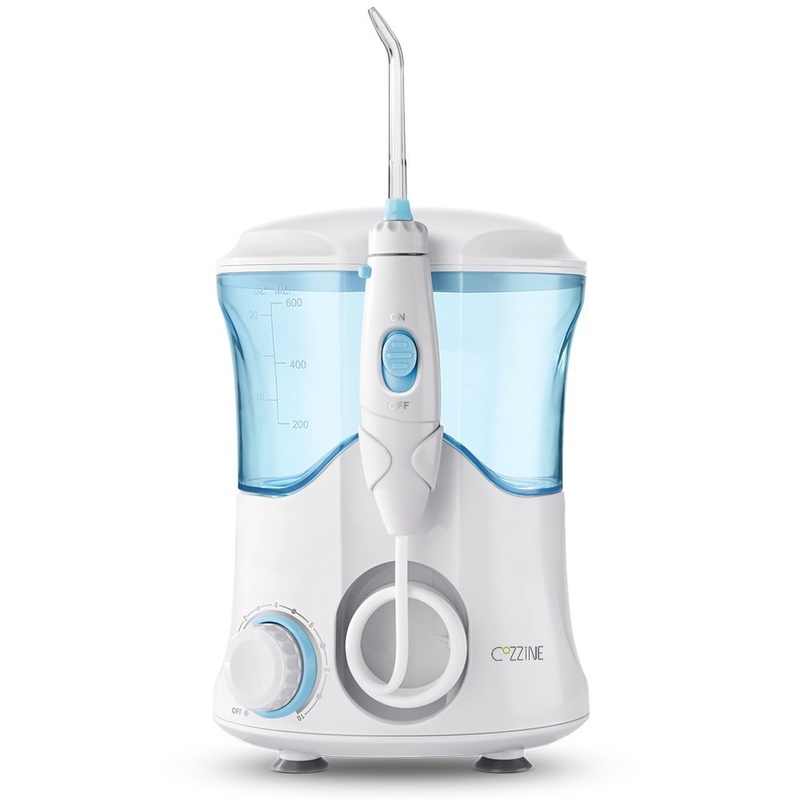 If you are still looking for the right oral irrigator in a sea of goods, our COZZINE Oral Irrigator has already helped many people to realize their wishes! 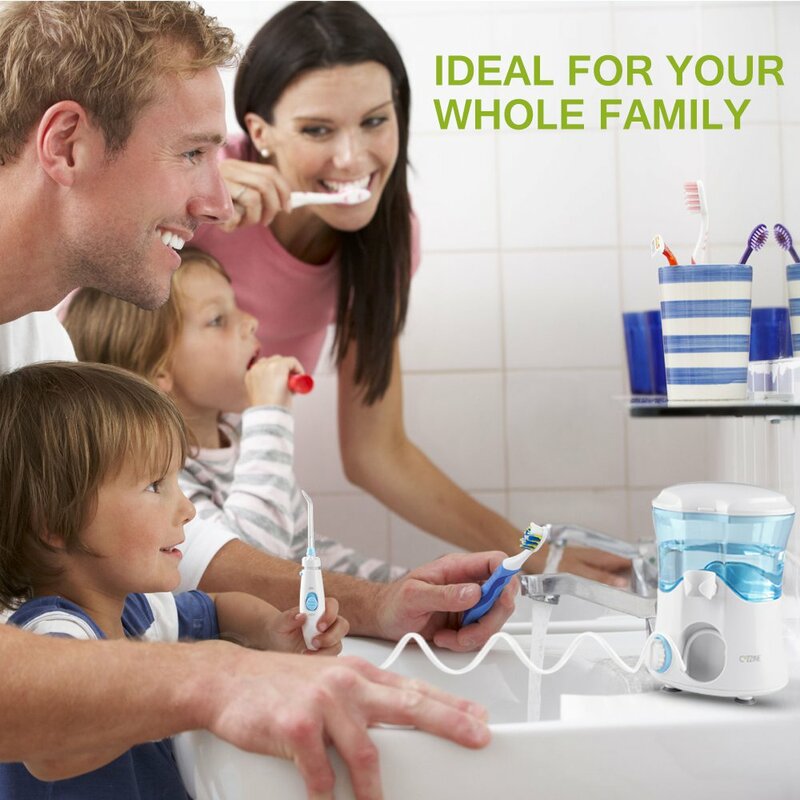 Professional and easy to use, our product is a great daily oral assistant for you that helps effectively eliminate food debris and dental plaque to improve oral hygiene health. 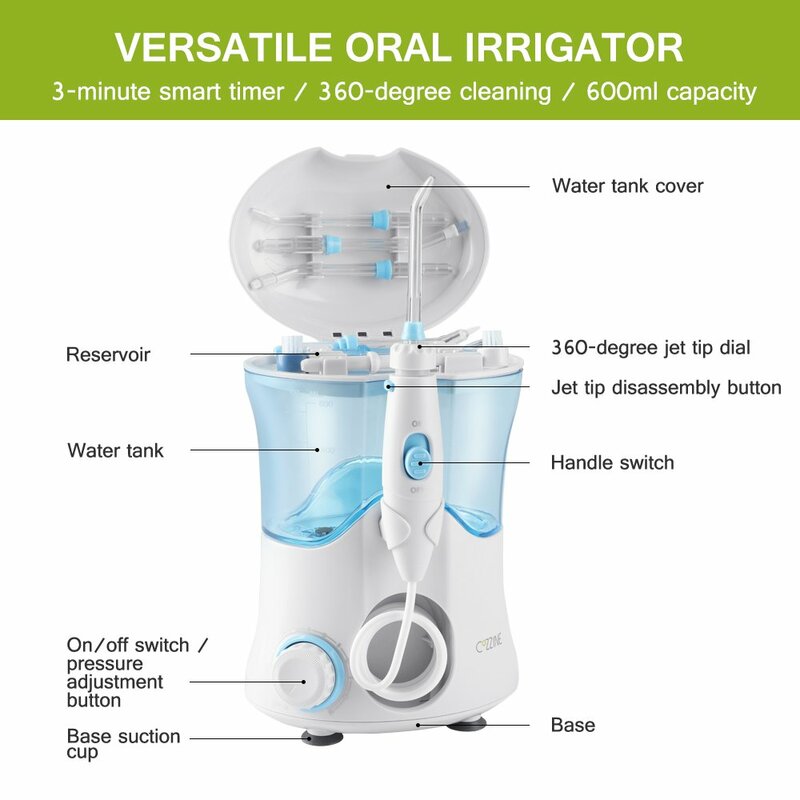 Simply use our oral irrigator to keep your mouth healthy every day! 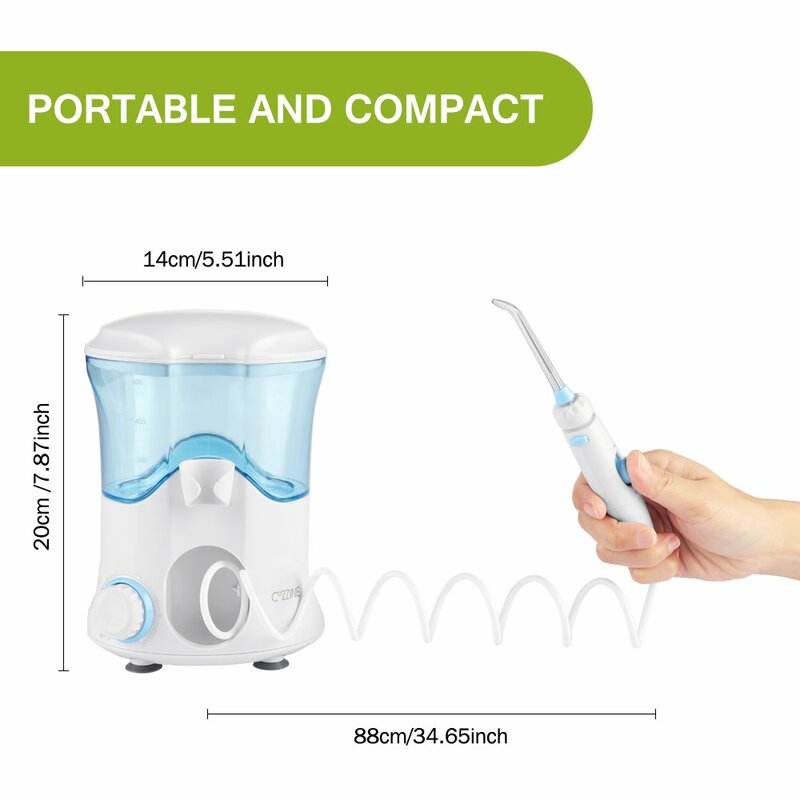 Our water flosser supports 100 - 240V universal voltage, the low 12V output is safe and reliable for use; IPX4 waterproof makes it safe to use in the bathroom and leaves you free from the worry of electric leakage. 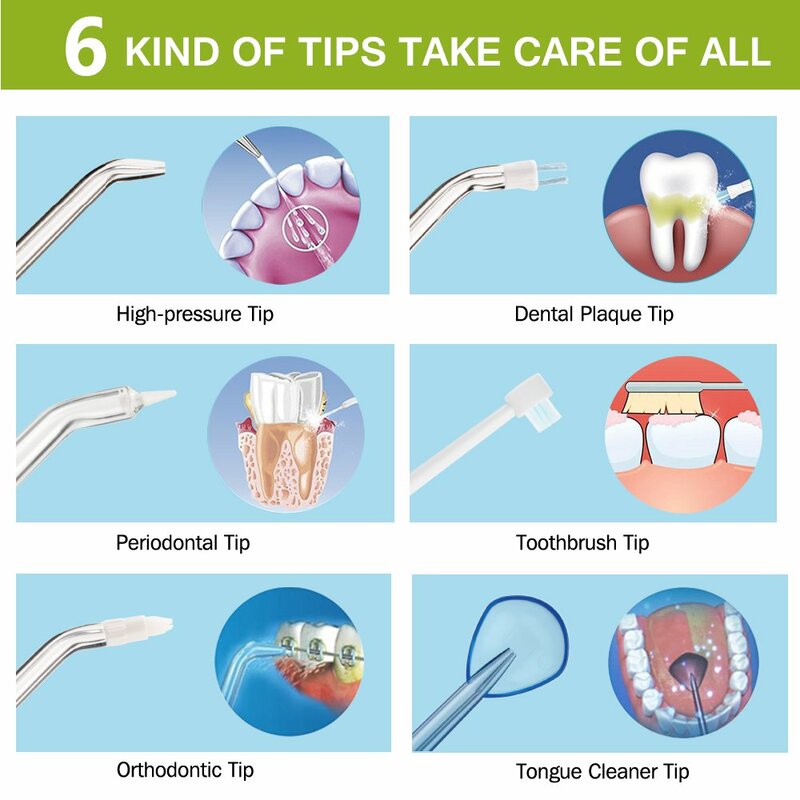 9 water flossing tips included allow you to easily clean the areas that are difficult to reach, which efficiently prevents tooth decay, dental plaque, dental calculus, gingival bleeding and dental hypersensitivity: 2 toothbrushes, 1 periodontal tip, 1 orthodontic tip, 1 dental plaque tip and 1 tongue cleaner tip; plus, 3 different-color high-pressure tips for you to share with your wife and lovely daughter. 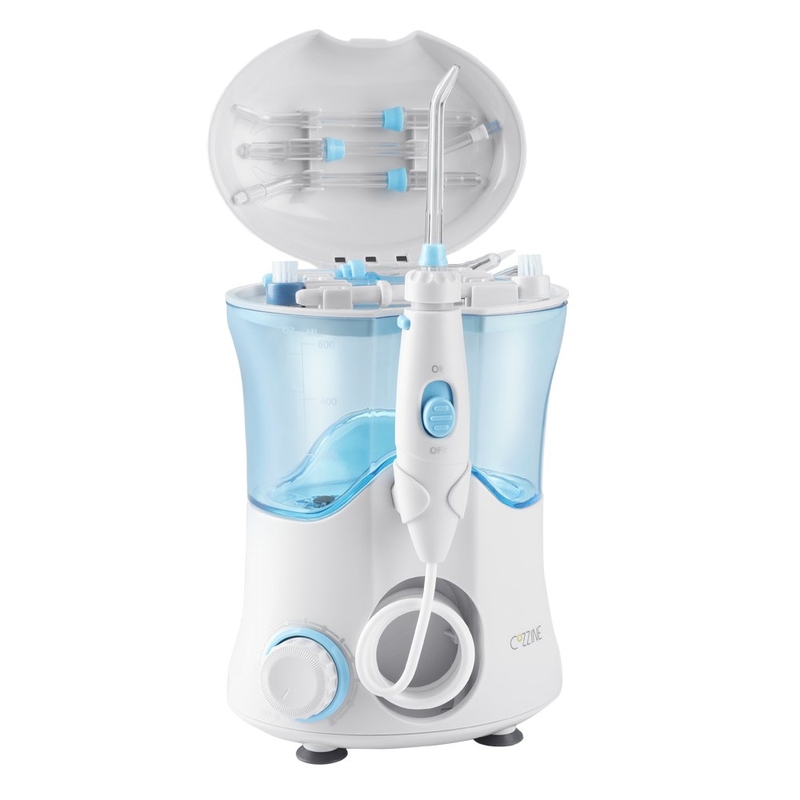 10 pressure ratings and pulse modes to meet your various oral care needs. 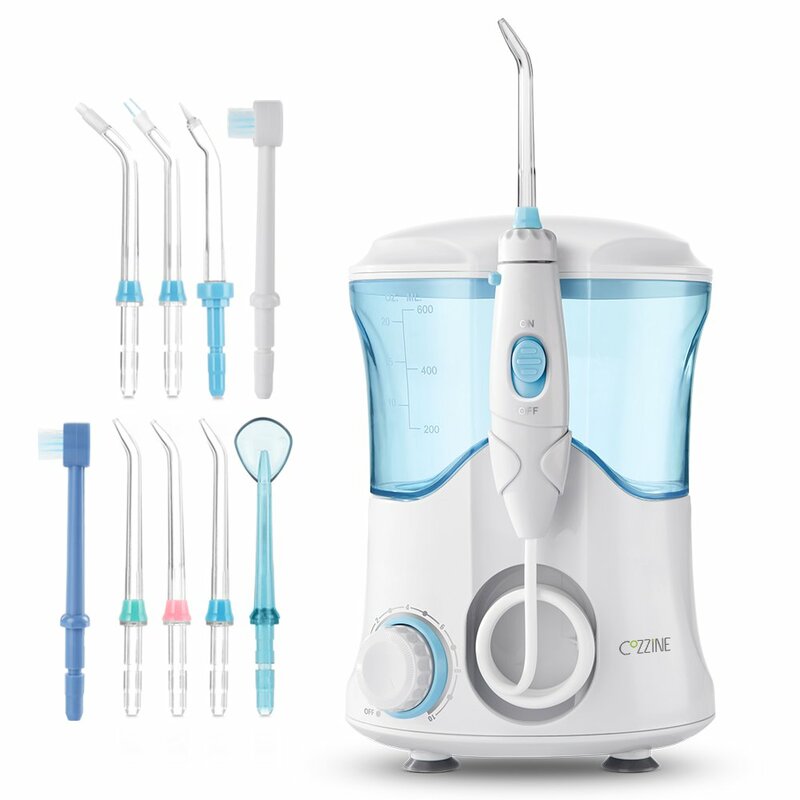 With different modes and strengths, our oral irrigator can massage your gums and improve your gum health in a simple and effective way, especially for implants, braces and decayed teeth. 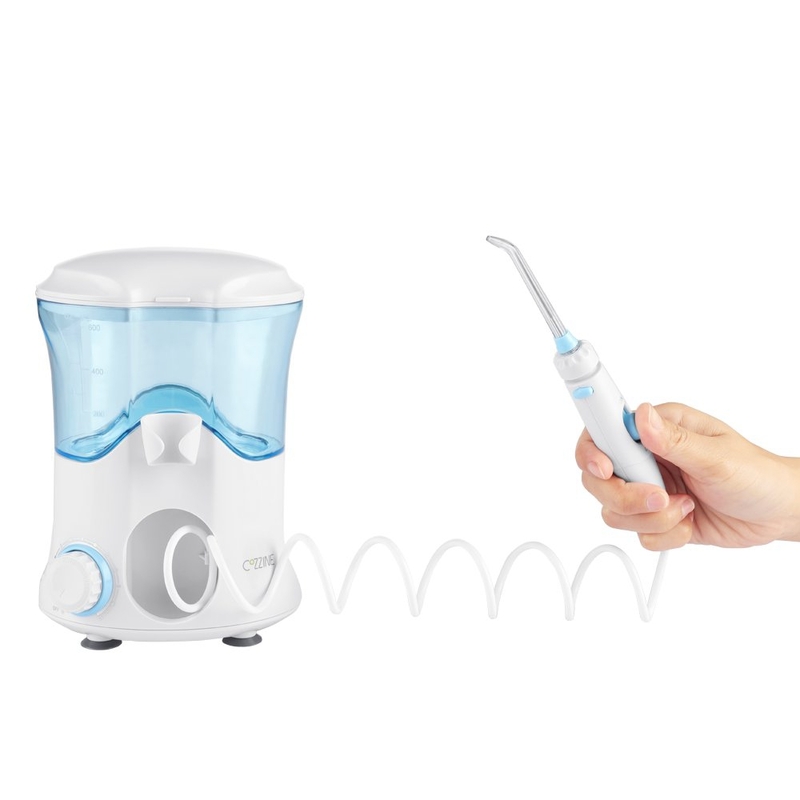 4 anti-shake silicone suction cups attached to the bottom to keep the oral irrigator as steady as a rock while in use. No need to worry about the water coming out from the tank when you use it. The upgraded removable full-opening water tank allows you to thoroughly clean the limescale and bacteria inside; 600ml large capacity is adequate for once use to save your time on frequently pouring water. Last but not least, the water flosser cover can be used as a storage box to keep those unique tips, versatile and convenient. These features altogether provide you a safe cleaning experience.